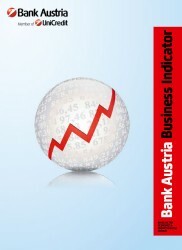 For the last six months the Bank Austria Business Indicator has been pointing to a stable, albeit slow, recovery of the Austrian economy. With an average indicator reading of 0.1 in the third quarter there are still no signs of any noticeable brightening of the economy. This article includes a total of 781 words.